Take a unique journey into the Star WarsTM universe as characters are brought to life through a dramatic presentation of more than 60 original costumes. 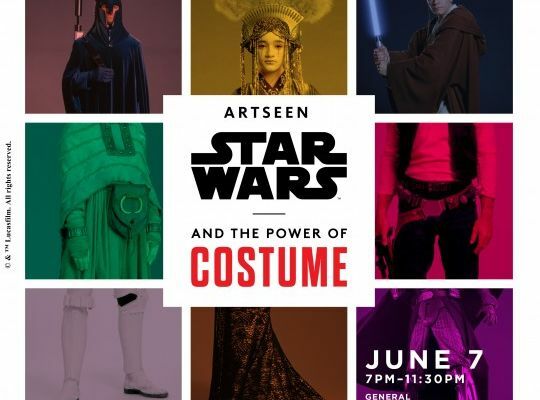 Star WarsTM & the Power of Costume will closely examine the captivating process of costume design for iconic outﬁ ts featured in the ﬁ rst seven ﬁ lms of the Star Wars saga. This is a mutimedia tour.